Before he started The Ravages of Time, Chen Mou penned a two volume series called Unhuman. The volumes are broken up into three seperate stories, each focusing on a different character. I'm a pretty big Ravages of Time fan, so I've done what all fans of authors do, and checked out a previous series created by Chan Mou. Unhuman is essentially a mini-series that gives a brief yet meaningful window of insight into a few characters from the Romance of The Three Kingdoms novel. As a Ravages of Time fan, this feels like a one-shot/pilot to the series, however it spoils a couple major events. Due to such, despite it being created prior to The Ravages of Time, I believe this series is best to be read following TRoT, as nothing more than a different take on the events that occur in each of the series. 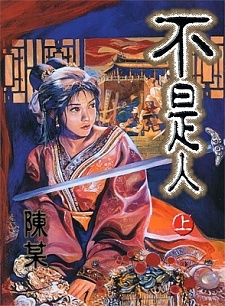 If you're not familiar with Chinese history, nor the Romance of The Three Kingdoms novel, then I HIGHLY suggest that you check this out after TRoT, purely because of spoilers, heck, you likely wouldn't understand much of what's happening in this mini-series regardless if you're not familiar with Chinese history and check this out first, in contrast TRoT provides much needed context. In regards to the technical aspects, I thought they were top notch, and just as good as TRoT, with the exception of the story, which definitely could have been made more accessible from some context. Overall, this was a decent mini-series that fans of TRoT or China during that time period, will definitely appreciate.